Who wouldn’t wish to have a make-up vanity or a dressing table that’s completely yours!!?? Dressing tables offer a practical way to organize huge number of small things in once place. Whether males or females, everybody seek to have a personal dressing table where they can store all the necessary belongings of daily life. For example – perfumes, deodorants, hair-gel, hair brush, wallets, and much more. So, key to a functional dressing table is space. It isn’t necessary to have a huge dressing table to make a lot of space. Try to have more number of drawers for a proper storage of your belongings. You can even allot a drawer for each category. It would also make your work easier apart from making it look neater. We all know dressing table is an integral part of a bedroom. Bedrooms are incomplete without dressing tables. And having one which complements the overall design and décor of your room is much more satisfying. A well designed dressing table makes room more stylish and well thought. And dressing tables with mirrors make it more functional. 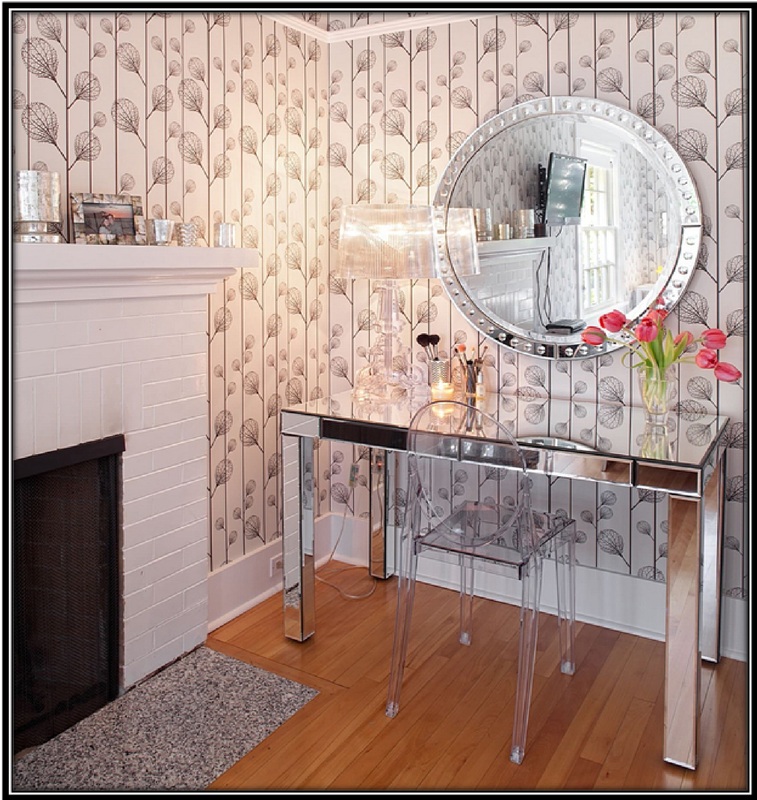 So, don’t forget to charm up the dressing table with a mirror (big or small) and keep it clean all the times. One should always keep in mind the space factor while opting for a dressing table. Depending on your taste or the theme of your bedroom, you can go for vintage dressing table or contemporary or artistic or modern or traditional, etc. 1. Modern Dressing Tables – there’s something very chic about these dressing tables. They look extraordinarily pretty and can also save up a lot of space depending on the design you choose. 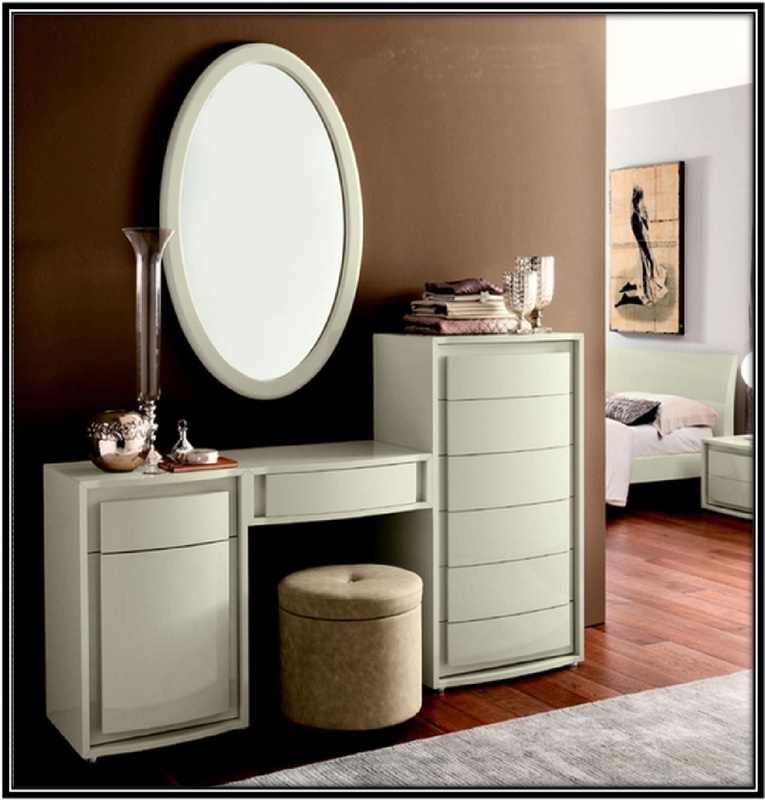 This category of dressing tables are compact and with lot of drawers. 2. 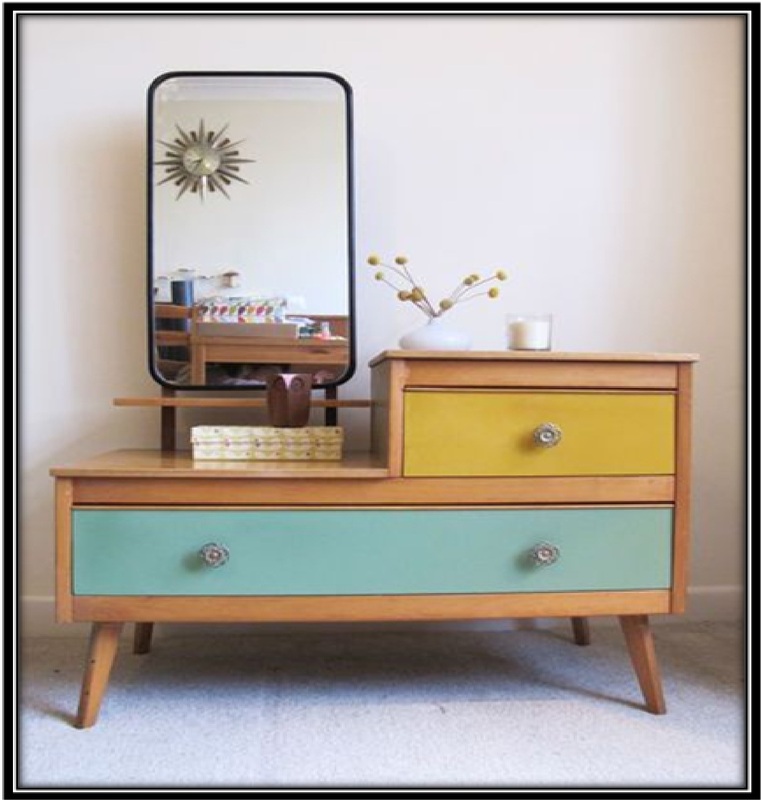 Retro Dressing Tables – these kinds of dressing tables are for people who want to take a trip down the memory lane. Retro designs are never out-of-fashion and can look compliment very well to the regal look of your bedroom. 3. Glamorous Dressing Tables – for a perfect film-set look, these dressing tables are more than perfect. 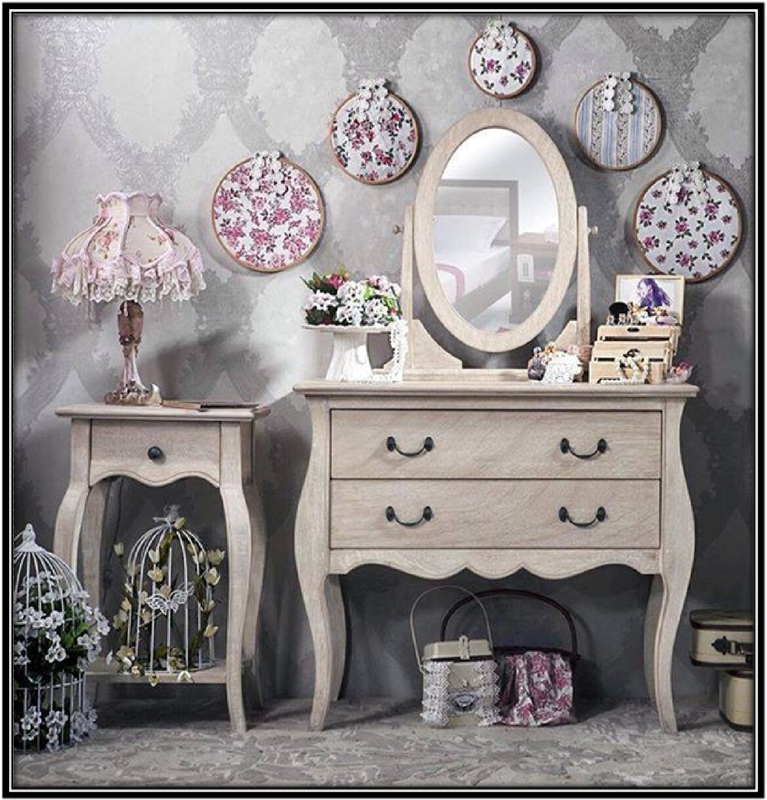 People who like to combine sophistication with elegance can have posh and glamorous dressing tables. 4. Minimalistic Dressing Tables – these dressing tables are fit for people who want their room look to cleaner. They want their dressing tables to look cleaner and not too cluttered with belongings. Having a drawer or two can suffice their purpose. Accessorizing dressing tables is important. Be it a chair or a stool and a small lamp at the side or just a single bulb on top. These little things make a dressing table complete. Let’s talk about colors. You can either hand paint your dressing table for a raw look or you could go for matte finish wooden laminates for classiness. 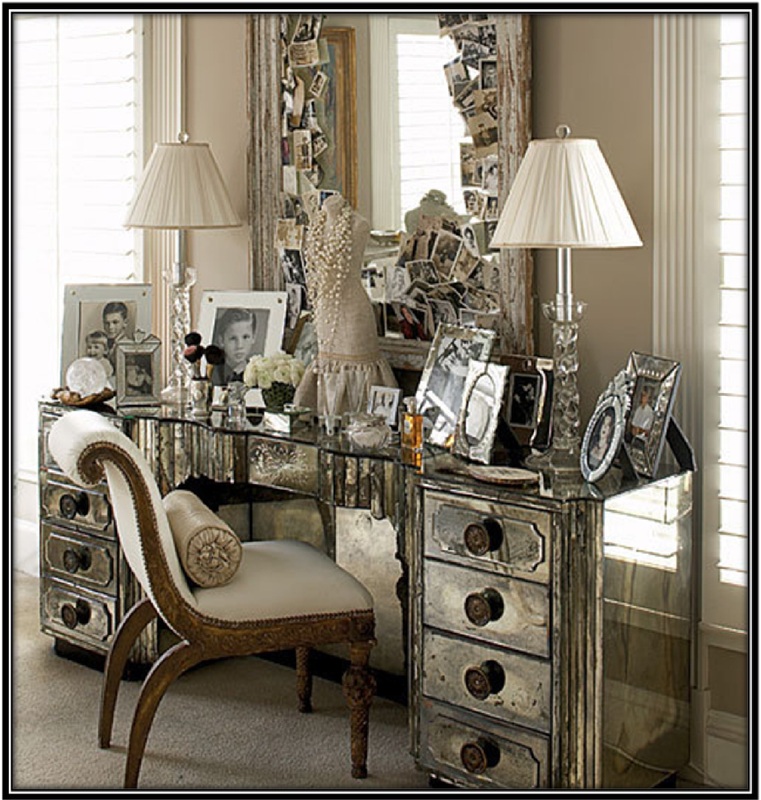 Above all dressing table is one time investment, so make decision keeping in mind the longevity and space. You can always groom it up with accessories in trend.